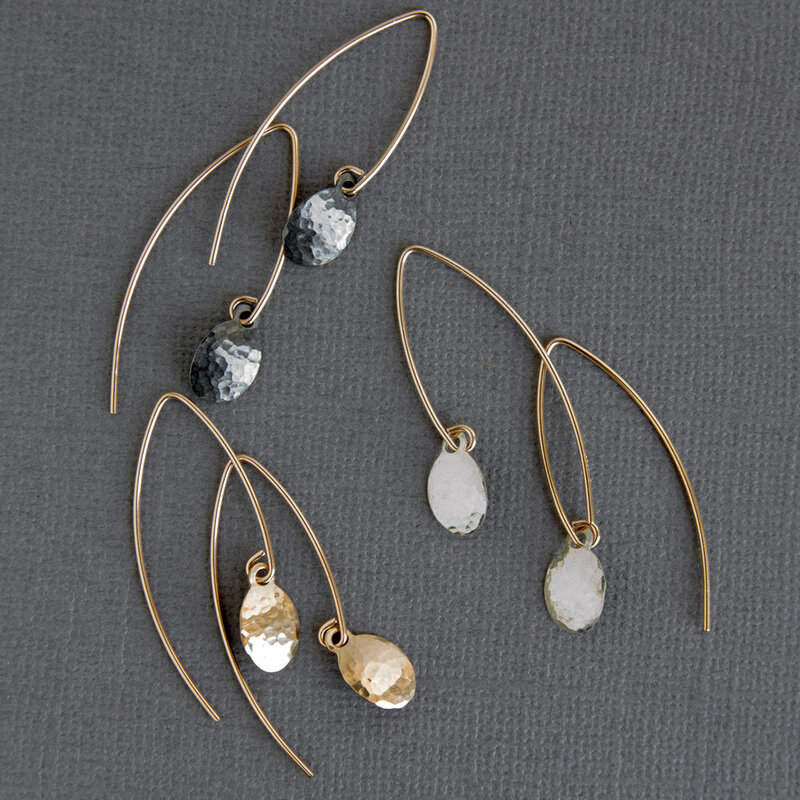 Sol Proaño’s modern handcrafted jewelry combines American minimalist style with the soul of the Andes. As a teenager, Sol hitchhiked throughout Chile during summers selling jewelry and leather goods that she made herself. Years later and now settled in the US, her designs translate her experience as an immigrant living in vibrant New York City mixed with her longing for experiences in the calm and openness of nature. A trained metalsmith, Sol Proaño makes her jewelry one piece at a time in her studio in Queens, with consciously sourced recycled sterling silver and 14k gold fill. With a global flair, her pieces combine both clean lines and organic shapes, incorporating textural elements such as metal hammering and leather. The result is wearable art that is unassuming, graceful and distinctive.